The leaves of Meshashringi or "ram's horn" when chewed, destroys the tongue's ability to appreciate the taste of sugar and all saccharine substances. 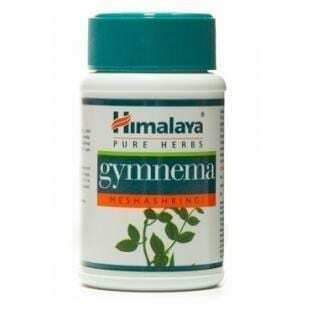 - The leaf extracts contain gymnemic acid, which are known to inhibit hyperglycemia or increased blood sugar levels. - The principle constituent of Meshashringi is gymnemic acid, which has antidiabetic properties. - It reduces excessive blood sugar. - Meshashringi has a regenerative effect on pancreatic beta cells and is insulinotropic (that which stimulates or affects the production and activity of insulin). - Meshashringi helps decrease sugar cravings.